We all know being a student can take its toll on your bank account, but what about the effect it can have on your skin? Between partying, studying and working, it’s easy to let your skincare routine fall by the wayside, or become non-existent altogether. But caring for your skin no longer has to break the bank or involve a time consuming 20 step regime, thanks to The Ordinary by Deciem. 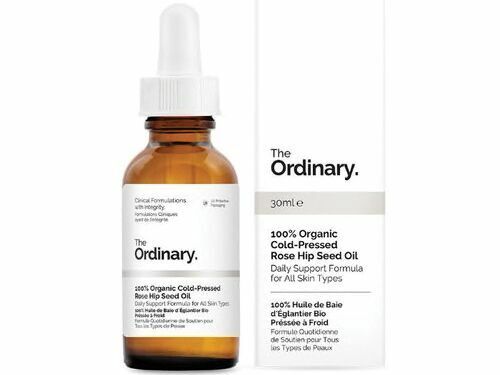 Although it’s been around since 2016, The Ordinary has recently hit headlines and quickly made a name for itself worldwide after receiving backing from companies such as Estée Lauder and being praised by skincare professionals and celebrities alike. Kim Kardashian, who is known to be a huge fan of Guerlain’s Orchidee Imperiale La Creme, which goes for an eye watering €350 per 50ml jar, said she swears by The Ordinary’s Retinoid Emulsion which costs a €10 mere per 30ml bottle. So with that in mind, I decided to put The Ordinary to the test and really see is it worth the fuss. The brand currently does not have any physical stores in Ireland but it’s available on a number of websites such as Cloud10, Asos, Arnotts, and of course, the brand’s own website. When you visit The Ordinary’s website you can go onto the regime guide section and find out which products you should combine to suit your wants and needs. Being a stressed out college student with acne/blemish prone skin, I opted for the regime designed for “signs of congestion & the look of blemishes”, which consisted of three products: ‘Niacinamide 10% + Zinc 1%’ which cost €5.90 for a 30ml bottle, ‘Salicylic acid 2% solution’ at €5.30 for 30ml, and ‘100% Plant-derived Squalane’ at €7.20 for 30ml. The products come in dropper style bottles and the packaging is extremely minimalistic. Overall the look of the products are very clinical and look like they come directly out of a lab, as their website says “no frills, no fuss”. It’s super easy to read the very short ingredient list, which is stripped right back to contain as few ingredients as possible. The products don’t contain any additives, fragrances or dyes either. The brand is vegetarian-friendly and also doesn’t test on animals at any stage of manufacture, and do not physically stock their products anywhere that would require registration, and therefore animal testing by law, for example, China. So, as per the regime guide, I applied the Niacinamide + Zinc all over my face in the morning and evening. The texture was very lightweight and absorbed into my skin quickly. There is no added fragrance, but there is a natural smell to the product that reminded me of plastic. When applied in the morning, this product did sit well under makeup, however I found it tended to pill if too many other products were layered over it. After two weeks of use, there is a noticeable light brightening of older acne scars and blemishes. Although it doesn’t completely prevent breakouts, I did notice a reduction in how often I broke out and when it did, it wasn’t as ‘angry’ as usual. Next was the salicylic acid. This is thicker than the Niacinamide and turns slightly white when rubbed in, but that disappears after a few minutes. During my first few days of using this product I made the mistake of applying too much and as this product contains an acid, I was left with large red dry patches on my cheeks. After that I began using a tiny amount on the areas that needed it most. This product definitely had an effect on spots, if I noticed a spot pop up before bed I would just dab a bit on and the appearance would be reduced by morning. However, I did find on some occasions when a spot disappeared I would be left with flaky patches instead. Finally, I used the Plant-derived Squalane for hydration. This product is similar to a dry oil, so initially, I was nervous to try it, as any other oil-based face products I’ve used have caused me to breakout and given me blackheads. I was pleasantly surprised with this one. It had a very lightweight feel and soaked into my skin very quickly without leaving a greasy residue behind. I found it to be very hydrating, and where the other products left me with dry patches, I would apply extra product and notice an improvement within a few days. Overall, I really like the products I used and will definitely be continuing this straightforward regime. The Ordinary is definitely a student-budget friendly skincare company and I’m not surprised it’s gaining attention worldwide. The simple and straightforward products do exactly what they say on the tin, without the luxurious price tag that’s usually attached to good skincare.